Did you ever think that you would be able use your watch to track how many calories you’re burning or how well you’re sleeping? What about having your watch measure your heart rate or remind you to get up once in a while and get active? With wearable technology, these once futuristic-sounding features are now a reality, and they come with considerable health benefits. Currently, the way that most people deal with any potential health issues is reactive. When people start to feel sick, pain, or anything out of the ordinary, they go to see a doctor. They experience a health problem, and they react by going to get it checked out. With wearable tech, there is potential for a more proactive approach to healthcare. Instead of reacting to health issues after they begin causing problems, wearables can be used to take action in the early stages. By using wearables to monitor health, especially for people that are already prone to health problems, irregularities can be detected before they become problems. Emergencies can also be recognized as soon as they occur. This system can be set up to notify others, such as family members or healthcare professionals. This more proactive approach to healthcare can be very beneficial, as it can catch problems early before they develop into larger issues that could have dangerous health consequences. People will become much more engaged with their own health if they are able to use wearable tech to monitor themselves. By getting access to real-time data which is continuously collected from the device, users will be able to stay informed about their health condition. Instead of having your data collected only by doctors’ tests, wearables help patients feel like they’re in control of their own health by allowing them to monitor themselves. Currently, most fitness trackers can monitor things like activity levels, heart rate, and sleep quality, among others. Users can track these metrics over time by examining the data collected by the device so they can see when issues occur, or when things seem irregular. This can also motivate people to improve these metrics by getting more exercise, getting more sleep, and engaging in other healthy behaviours. Many trackers include features where weight and calorie intake can be tracked, which helps promote a healthy diet. Having the ability to track progress adds a whole new dimension to health and fitness that is unique to wearable devices. There are many different types of wearable devices already on the market, with various different use cases. Consumer-focused devices are the most common, but there are many others, especially in the medical field. One example is wearable bio-sensors which are used to monitor things like heart rate and respiratory rate. Electronic smart hearing aids are also becoming more popular. For diabetic patients, there are devices which continuously monitor glucose levels using a sensor placed under the skin which connects to a smartphone. As wearables continue to become more common, more medical uses for these devices will surely be developed. New, experimental wearable tech is also hitting the market on a regular basis. For example, there are a variety of new devices which claim to help improve posture. Other unique wearables include devices which monitor UV exposure, fix circadian rhythm, and help regulate body temperature. These unique wearables each target specific problems that may not already have solutions using other types of technology. Wearable tech has the potential to provide enormous benefits to healthcare providers. By using wearable devices to monitor patient data over a long period of time, medical professionals can get a better view of the issues that are affecting the patient. They can then use the data to make a more accurate diagnosis than they would have been able to without using the device. Using wearable tech can also save money in the healthcare system. It’s estimated that 20% of all healthcare costs result from lack of consistent exercise, lack of adequate sleep, and addictions to alcohol, drugs, and tobacco. By using wearable tech to encourage more exercise and better sleep patterns, this will help patients become healthier and reduce strain on the healthcare system. In addition, some insurance companies are starting to suggest reducing premiums for people who use wearables in an attempt to get them to be more widely used. Employees seem to be open to this idea, as one study showed that two-thirds of those surveyed said they'd wear a device if employers or insurance companies provided them for free. 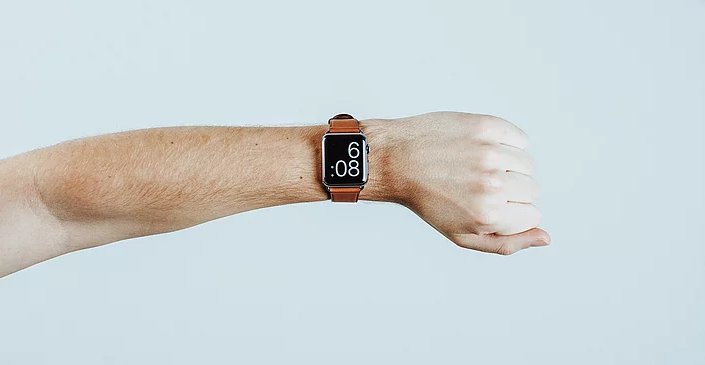 Employers also benefit by having employees use wearables – one three-year study of employees who used wearables showed a 44% decrease in sick days. One unique application of wearable tech is that it can be used to monitor vulnerable patients from a distance. While many people already use wearables to look after their own health, many others would like to use them to look after the health of vulnerable family members. Researchers at PwC’s Health Research Institute say that there’s clear demand for devices and services that can be used to look after family members like children or aging parents. Using wearable tech is a great way for caregivers to monitor at-risk seniors in the family. Healthcare providers can also use wearable tech to monitor vulnerable patients who are prone to medical issues. If they are at risk but not seriously ill enough to be in the hospital, wearable tech can be used to monitor them at home to ensure no problems occur. Wearables can also be used on patients when they return home after surgery or an operation to monitor their recovery and ensure no complications occur. This helps ease the burden on healthcare systems by letting the patients leave the hospital and return home, but still keeping an eye on their conditions using wearable devices. Wearable tech is such a new industry, and there’s so much potential for innovation in the future. With the rapid growth in the medical field and the increasing adoption by consumers, the worldwide market for wearables is predicted to nearly double in size from 2017 to 2021. In light of this huge influx of innovation and growth in the wearable tech industry, there’s no telling the future benefits that these devices will provide.